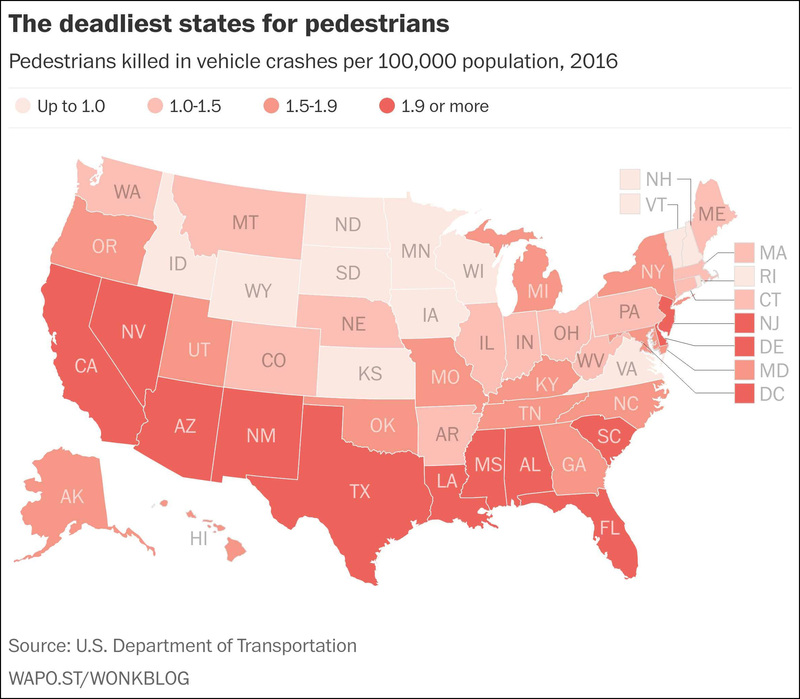 With just a few exceptions, the deadliest states for pedestrians are all in a well-defined southern band stretching from California to Florida. What’s up with that? What does California have in common with Alabama? Or New Mexico with Florida? Or Nevada with Texas? What’s going on here? Now, maybe all those northerners are walking in the gym or something. Who knows? But it sure looks like Southerners (a) don’t walk much and (b) get killed a lot when they do. The mystery grows!